Don’t try to wear multiple layered chains of the same length. You will end up with all your necklaces in disarray, jumbling up in a tangled mess. When you stagger your necklace mix by length, every piece will lay flat on its own, allowing others to appreciate the detail in each piece. 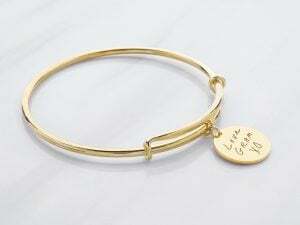 A good, classic mix will be a choker, a princess length necklace and a matinee length piece. The rule of third in art and decor applies to fashion just as well. 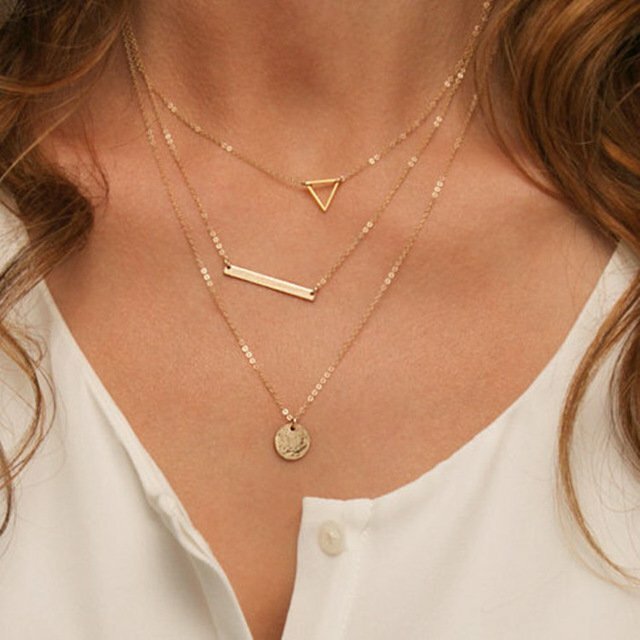 Stick with odd numbers: wear 3 necklaces for an easy pairing, and 5 when you want to make an impact. 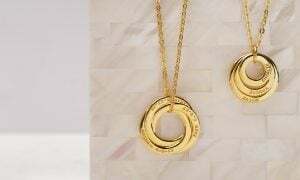 The odd number of necklaces will provide a pleasing balance – there’s a reason why “3 layer necklace” or “3 tier necklace” are among the most popular searches for layered necklace sets. That said, double chain necklace is a wonderful way to layer your necklaces and spice up your accessories effortlessly. If you’re looking for a modern and classic style, a cute choker layered with a dainty heart pendant necklace or bar necklace will look absolutely gorgeous on any outfit. Many jewelers offer ready-mix double necklace set that will ensure you looking good always. 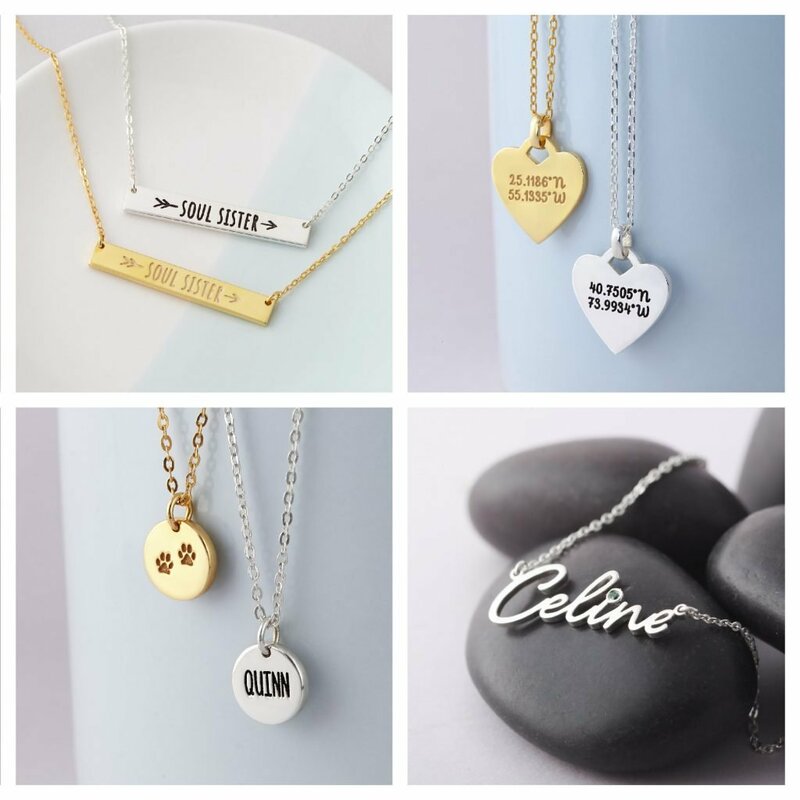 When you don’t know where to start in stacking necklaces, think about your most favorite necklace or the necklace that reflects your current mood. 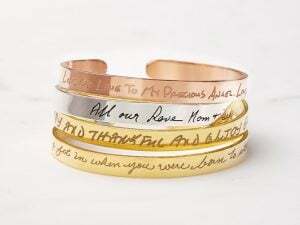 This will be the foundation for your layered necklace set. 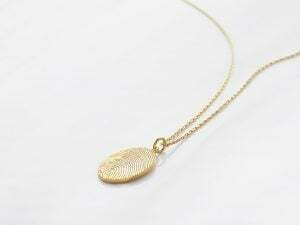 Your favorite dainty pendant necklace will become a lot more interesting when it becomes the centre of a delicate layered necklace set that comprise some simple chains of different texture. After choosing the center necklace, it’s time for your creativity to mix and match it with other necklaces in different styles, materials, lengths or colors. 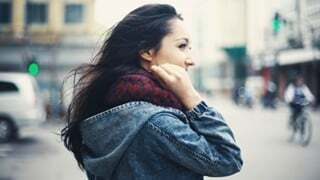 However, to avoid over-layering and end up with pieces that have nothing to do with one another, choose one theme (style, material or color) and stick with it. For example, you might want to wear only gold chains and vary the chain styles. 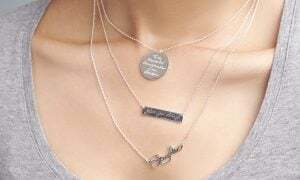 Or if you feel it’s a day for simplicity, just go for layering minimalist dainty necklaces to get an effortlessly elegant and chic look. Less is more. 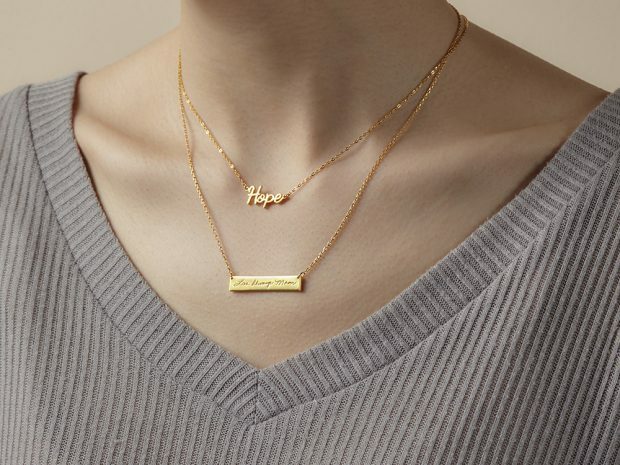 Even for layering necklaces. 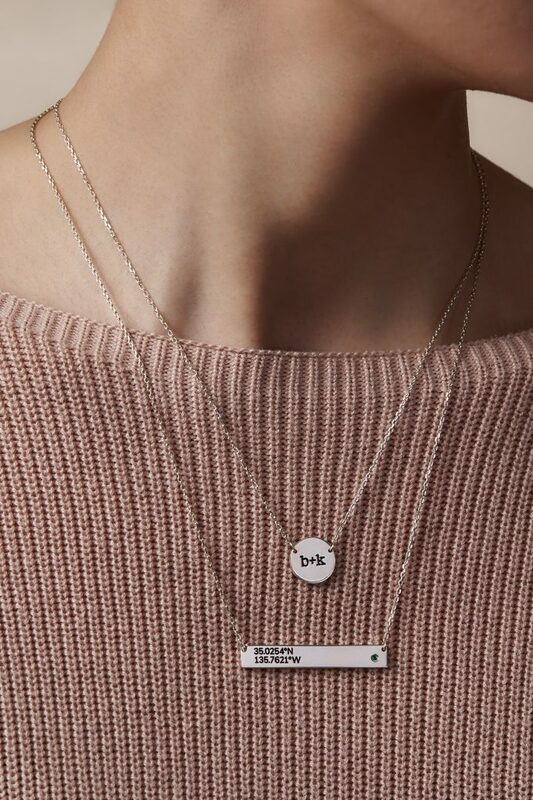 The best guiding tip on how to layer necklaces is to keep it simple, don’t overdo it and just stay true to your personality and style. 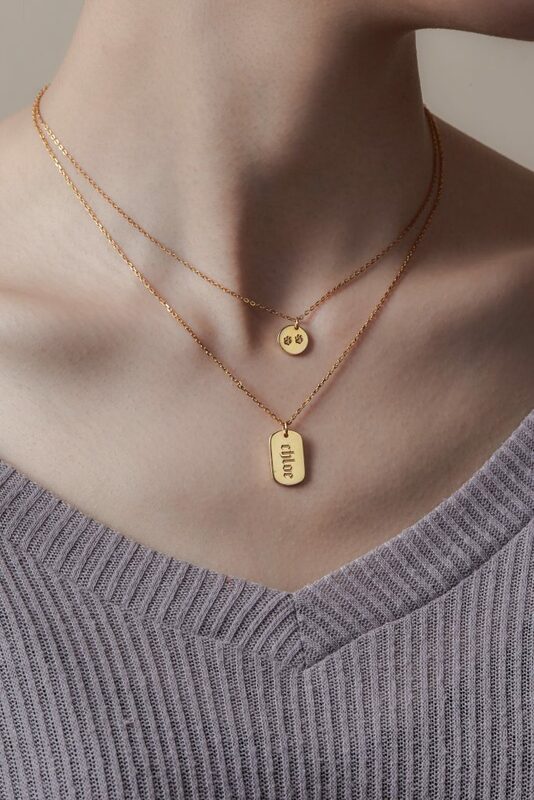 A great idea for a simple yet special layered necklace set is accentuate it using personalized pieces such as a bar necklace or infinity sign necklace with your engraving. 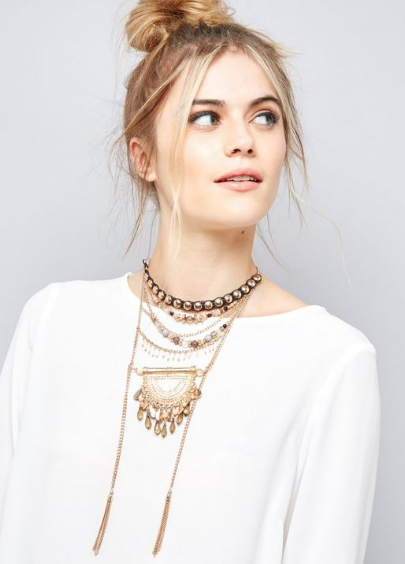 This is THE layered necklaces look that can never go wrong! 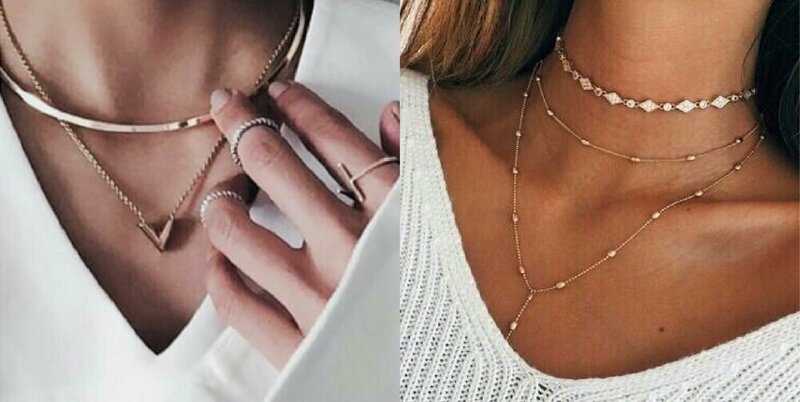 Layer a gold or silver sleek choker with delicate necklaces to achieve this very fashionable and effortlessly chic look. Worry that it is too simple? 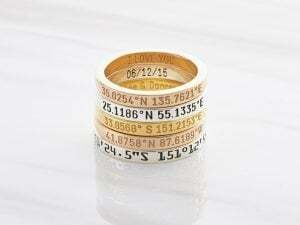 Try personalizing your delicate piece for a hidden subtle surprise! 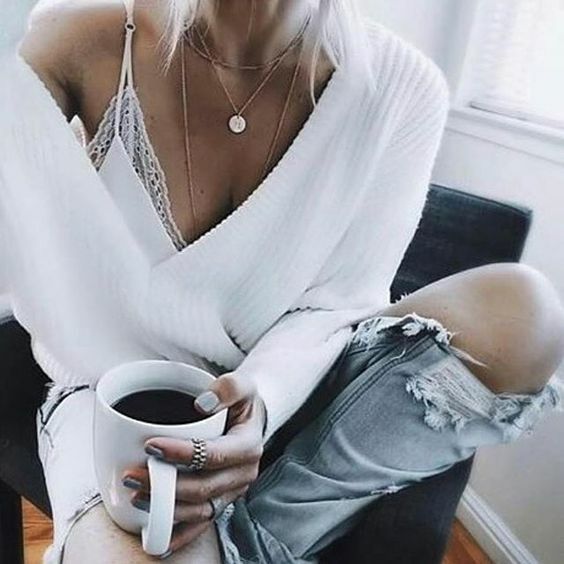 A look that you see everywhere on Instagram nowadays is layered charm necklaces with an oversized white or blush knit sweater or blouse. The textural contrast between beautiful layers of shiny metals and the fuzzy cloth creates a sophisticated look that is both photogenic and sophisticated in real life. If you want something more fun, don’t afraid to try on colorful multi-strand necklaces within the same color spectrum. Mix in texture and colors by adding in the unexpected fun beading and feathers with more boho style chains. Stick with a plain top for a more casual wear, or go full out boho for a music festival! 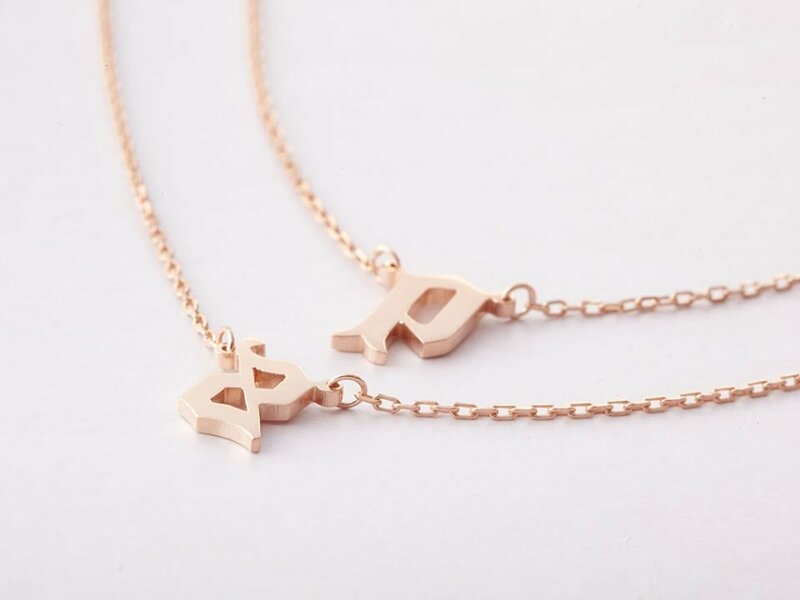 Lariat necklaces are about the hottest must-haves in every fashion lover’s wardrobe right now, and for a reason! Lariat looks sophisticated on itself, and adds dimension to any layering necklace look. 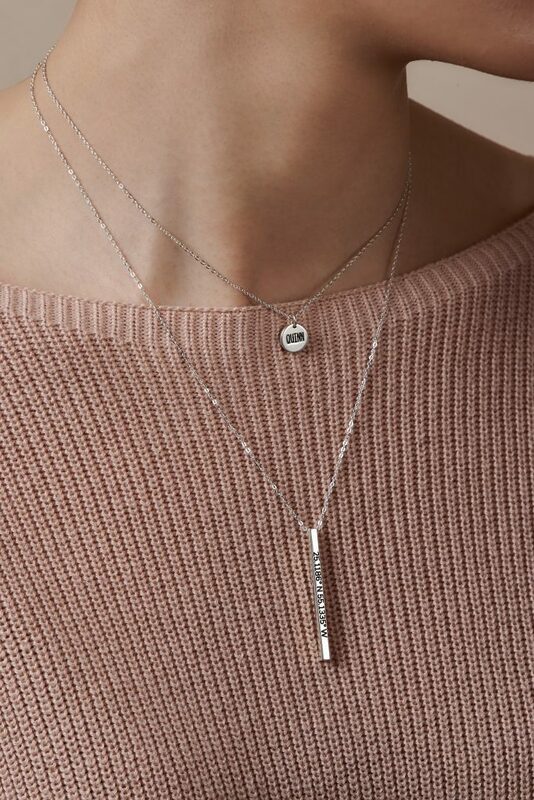 A dainty choker and a lariat necklace is a classic combination that compliments any outfit, while you can go all out with a chunky pendant and add a simple chain and a lariat to spice up that look. Lariat just seems to add that unexpected element to a stack of necklaces without going overboard. Necklaces are very unlikely to tangle when they have very different lengths. 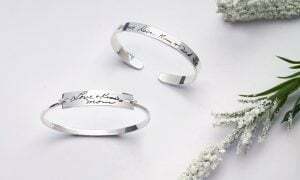 You can start with a choker or a very short necklace and it will stay still in one place rather than messing with other chains. You can keep chains separate from each other by weighing them down with a pendant or a stone. 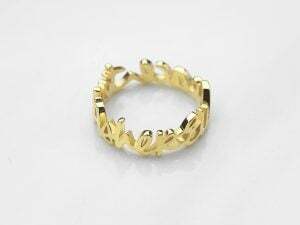 It is also suggested to pair thinner chain with thick chain when layering multi necklaces such as rope chain or the Cuban and Franco link, which are fashionable and easy to layer. 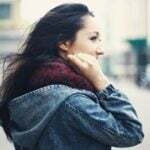 Use a variety of material when layering like metals or leather cord not only give your necklace set a diverse and stylish look but also prevent your necklaces from tangling. 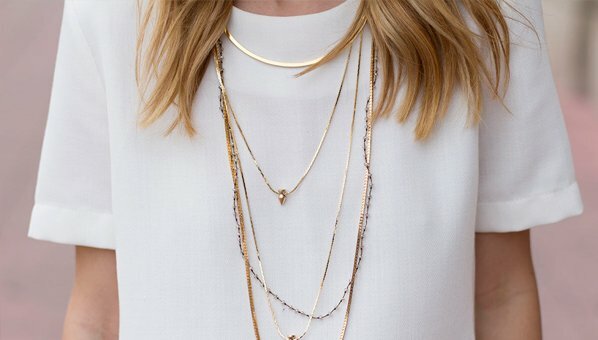 Try stacking three unexpected necklaces together for one unique yet easy to maintain look!